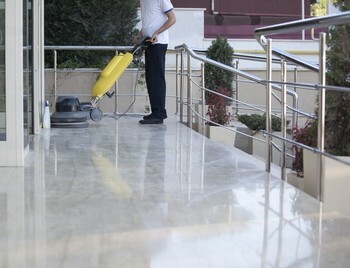 Specializing in floor stripping, waxing and buffing since 2010, Midwest Janitorial Specialists, Inc has amassed the skills to handle any floor maintenance program. Different floors require different care. Following proper industry standards and techniques for stripping and waxing floors will prolong the life of your flooring, while applying the wrong products will shorten it. We've all noticed commercial floors that have been neglected. Even worse, companies who are not well versed in the proper procedures for caring for various flooring materials can create more harm than good. Call the experts at Midwest Janitorial Specialists, Inc for beautiful, protected floor maintenance.